Huge thanks to the composers & venues for their talent, time & space! “We live in a time where a satellite disco ball joins the carcass of a car as decorations for our planet’s aura. Corporates and lawyers are exporting capitalism out to engulf all space, asserting flags of greed and vanity are the natural order, already flying in places as yet unreached. Although the story is bleak, we are left with a melodic line that doesn’t sing this false ecology; with ears open we can sing to the stars with hope, we can transform our egos to embrace a future full of explorers of wonder and humility. 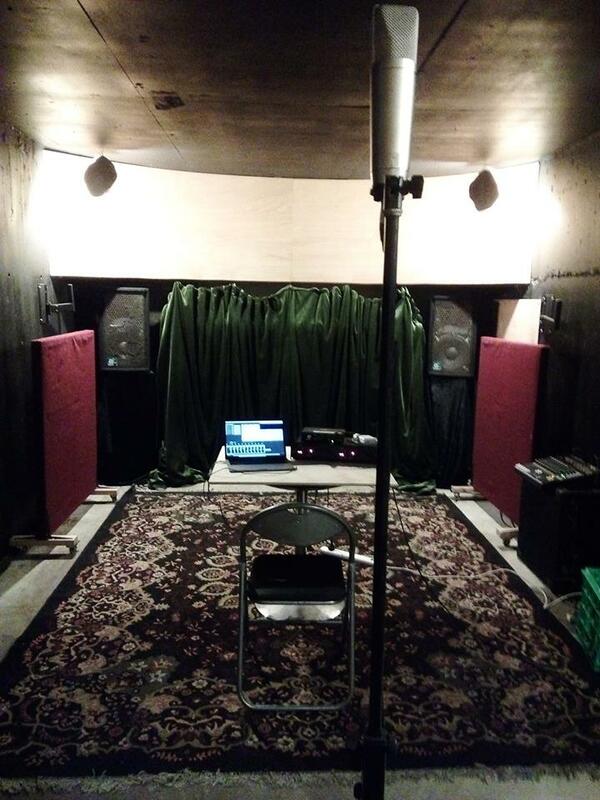 SAM LONGMORE’S MELBOURNE RESIDENCY HAS BEGUN! Sonorous Circle and Magnet Studios are pleased to announce the first eponymous Artist in Residence program featuring Auckland-based sonic artist Sam Longmore. With a fundamentally timbral approach to live performance, Longmore’s works tease subtle differences from dense clusters of processed field recordings and pure tones. Manipulations of volume and delicate shifts in pitch immerse listeners, evolving with focused precision. 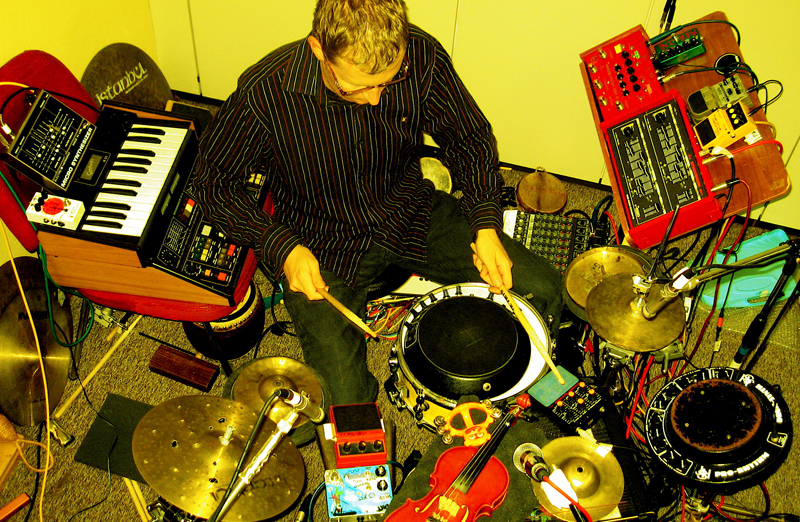 In doing so, Longmore frequently places ‘traditional’ techniques of drone- and noise-music in relation to the popular, pleasing sonics explored online under the umbrella, ‘ASMR’. At a general level of concept, his work seeks to emphasise the manner in which acoustic and environmental contexts influence listening experiences, while also highlighting the corporeal nature of audition through the manipulation of pitches at the limits of hearing. Over the course of his two weeks in residence, Longmore will develop a site-specific, quadraphonic composition to be premiered in Magnet’s Spatial Studio on the 21st July. Also performing on the night will be Erin K Taylor and Dale Gorfinkel & Friends. Sam’s visit is proudly supported by the New Zealand Music Commission Outward Sound scheme. 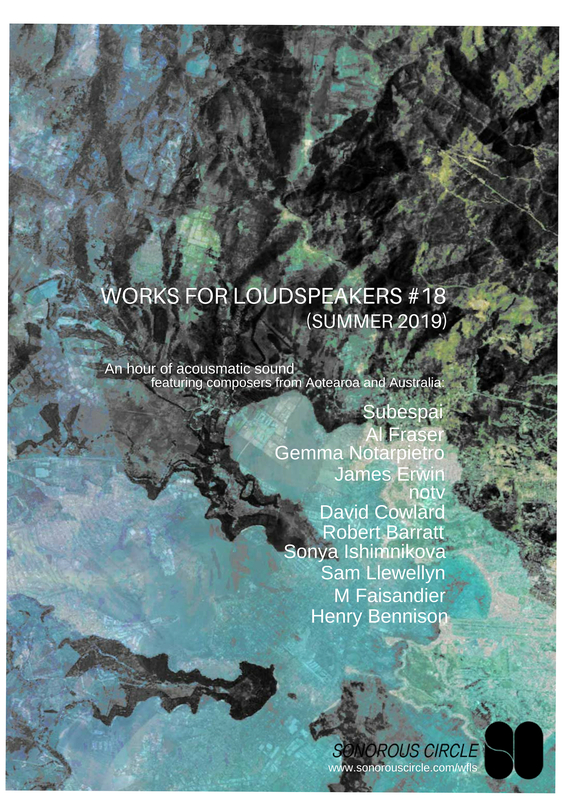 Works For Loudspeakers is a quarterly listening party – founded by Emi Pogoni in 2014 – showcasing emerging and established composers. Every edition is different, and curated to give a platform for non-performative, sound-based composition – music that would usually not have a public outlet. In this spirit, Sonorous Circle welcomes composers – emerging and established, local and otherwise – to submit sound-based compositions of 3-10 minutes duration (.wav/.aif) to be played in friendly, close-listening environments in Auckland and Wellington (event details below). If you would like to submit a piece or would like more information, please email us at worksforloudspeakers@gmail.com and/or stream/download the archive here > https://wfls.bandcamp.com/. 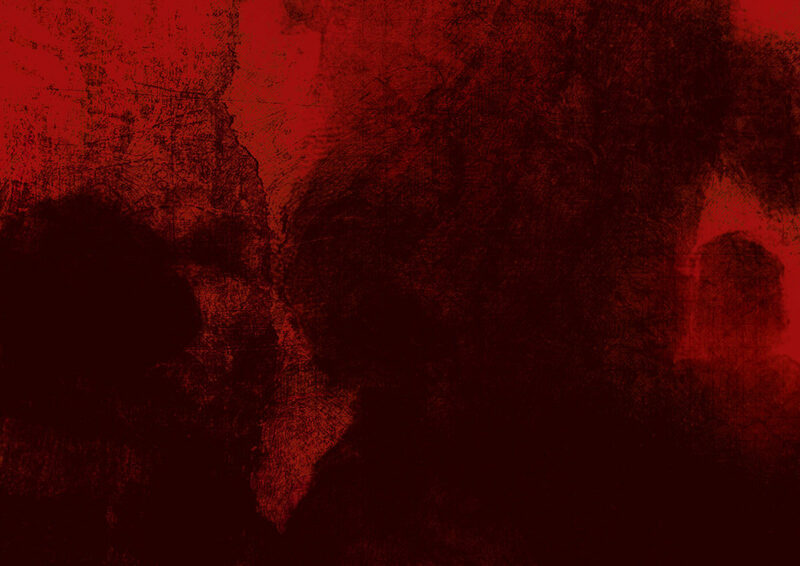 The All Seeing Hand are excited to announce the upcoming release of their new album Syntax Error and their joining of the Sonorous Circle collective. Syntax Error is an album reflecting the cognitive dissonance of this very real dystopian future that we are presently in. The tracks explore some of the contradictions that coexist in this complex moment, where seemingly all truths claim a capital T, and both the virtual and physical world are becoming a manifestation of a troubled mind. But with contradiction there is also hope, a striving for a new truth that recognises multiple voices; there is meditation, mediation, and reflection; there are communities navigating healing and growth; a troubled mind seeks peace. Hanno Leichtmann is a Romanian-born German sound-artist currently in Aotearoa as the Artist in Residence at the Goethe Institute. His sound is “emblematic of a wave of minimalist, cerebral electronic music” echoing the work of seminal composers such as Steve Reich and Terry Riley. If that’s your thang have a listen below & catch it live at one of the following shows if you can!